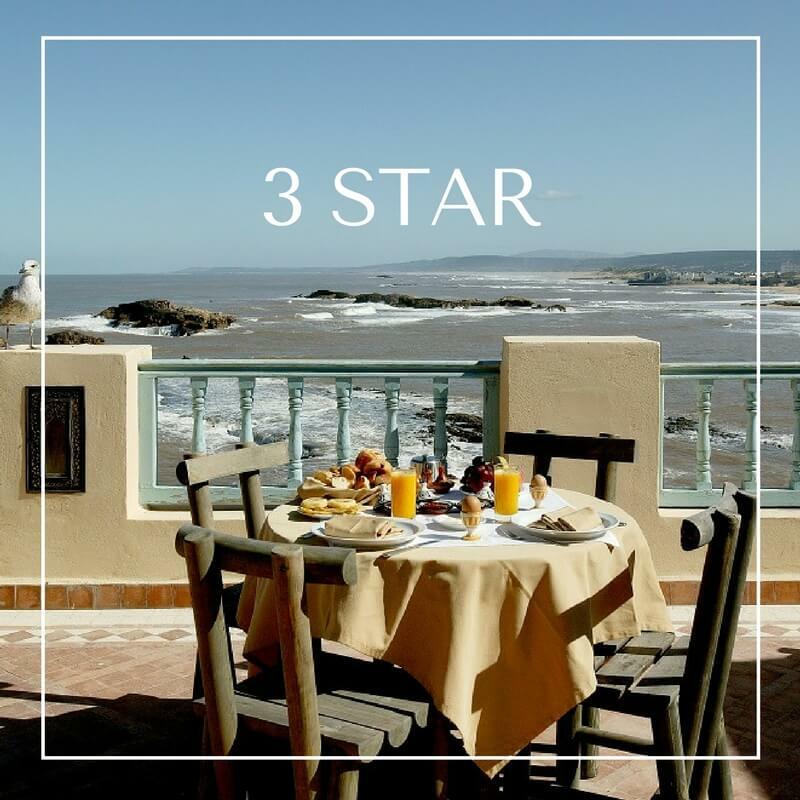 What, exactly, is the difference between a 3 star riad, a 4 star riad, and a 5 star riad? This is a question we get a lot from our travelers, often when they are trying to decide the best way to spend their money. 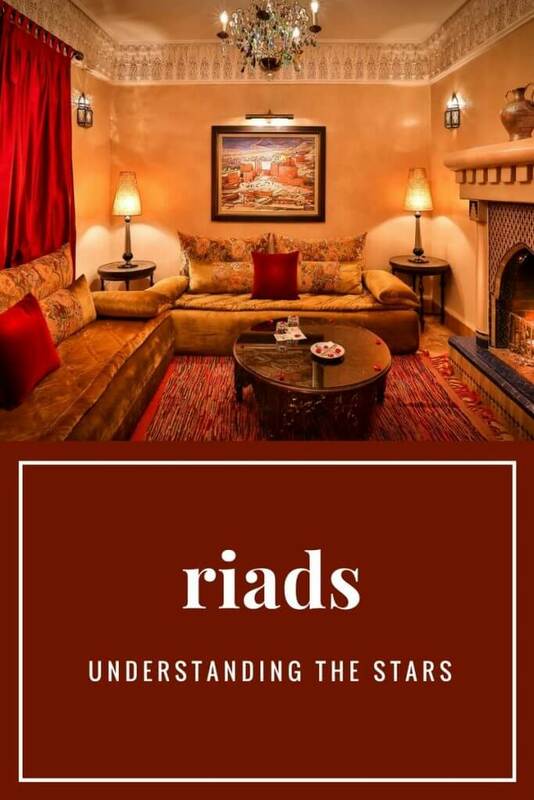 (If you don’t know exactly what a riad is yet, you should check out our Guide To Riads: 7 Tips for a Successful Stay). We understand that price is important and you want to spend your money in the best way possible. That’s why we are going to break down each level of accommodations so that you can get a better idea of what to expect. Note: This is an overview of what a typical 3 star, 4 star and 5 star riad will look like. 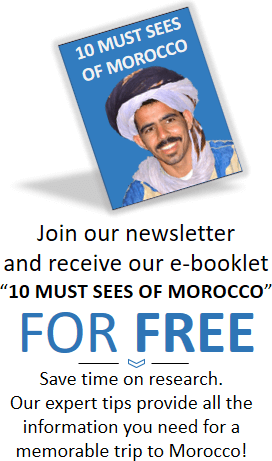 Since they are each unique, this isn’t a guarantee for every single riad! Some might be a closer mix between two of these categories. 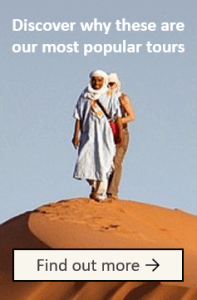 We like to only recommend riads that we have seen unless a traveler has a specific request. Every riad we use will be clean and have a private bathroom with a western-style toilet attached to the room. Riads that are considered 3 star will have smaller comfortable rooms. Some of the 4 and 5 star riads are modeled after larger traditional homes, while 3 star riads are more like smaller traditional homes. Most 3 stars offer only showers, instead of a bath. They also will likely have a safe in the lobby instead of a personal safe in your room. 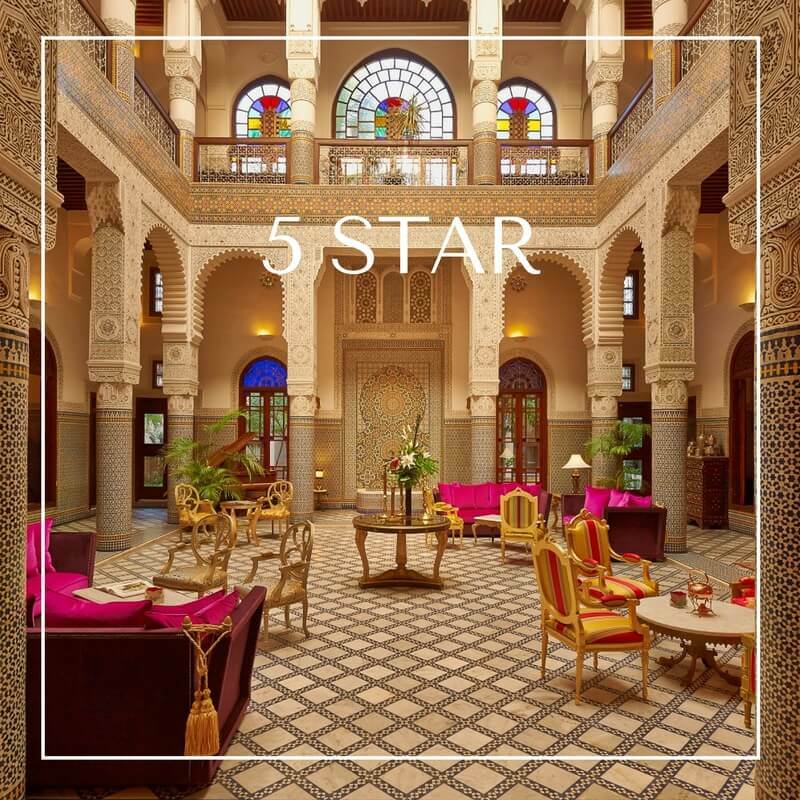 3 star riads will have small number of staff, perhaps even only 1 or 2, and the staff’s English might be limited. Travelers are often pleasantly surprised at how nice 3 star riads are compared to other 3 star accommodations found elsewhere. Your stay will certainly be comfortable and enjoyable, especially considering the reduced cost. Rooms in 4 star riads will be larger and will usually have a sitting area space. Riads that we consider 4-star level will usually have more modern features, such as Wifi or TV. The bathrooms will certainly have a shower, and may offer a bathtub as well. 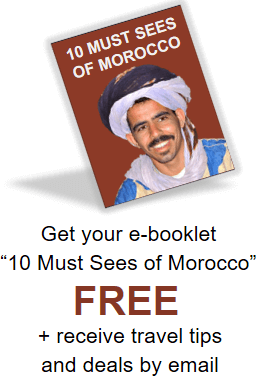 The 3-5 staff at the riad will probably include one or two members that speak English. Most 4 star riads offer a lovely pool for their guests. There is often a safe in the personal rooms. Some 4 star riads will have a small fridge and minibar in your room as well. The restaurant at the riad will also offer high quality meals, even though there may be limited choices. 4 star riads are high quality accommodations. Riads that are considered 5 star will offer large, luxurious rooms with meticulous attention to detail. You can see this in the quality mattresses, perfect decoration, and amenities such as TV and Wi-Fi in the rooms. There will also be a safe in the room for your personal belongings. The bathrooms may have a bathtub, showers, or both. In the bathrooms, there will be different soaps, scrubs, bathrobes, and slippers. Most 5 star riads have a beautiful pool and luxurious spa services. There are more people on staff at these riads, numbering from 5 to 10+. Many of the staff will speak English. You’ll also notice a step up in the quality of food offered at the riad’s restaurant as well as more choices. The true difference in the 5 star riad is found in the little details of luxury: the welcome fruit basket, the hot pot for tea/coffee, and the attentive personalized service. There is a superior feeling of luxury in these accommodations that our travelers have been incredibly impressed by. 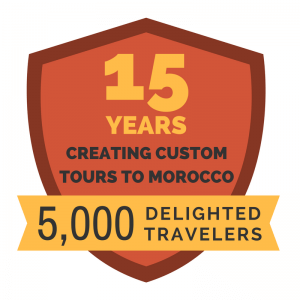 5 star riads will offer you an unparalleled experience as you enjoy the best that Morocco can offer. So, which should you choose? It all depends on your budget and what you are looking for. No matter which riad you choose, it will be a unique experience! 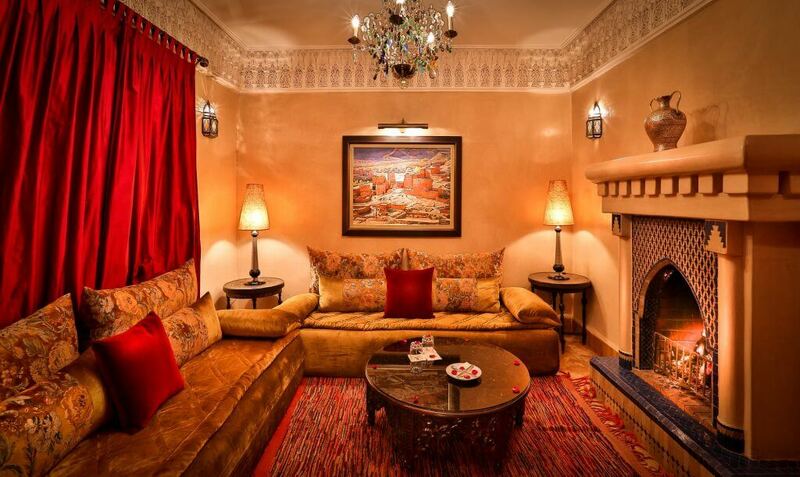 You will enjoy the atmosphere of any riad and will certainly receive wonderful service from the staff. Your whole tour doesn’t have to be the same level of accommodations. Since all our tours are private, you can choose to mix and match levels! Pick a level up to splurge for a night! A couple of our favorite riads are listed in our Guide to Riads…but if you want more suggestions, please contact us or comment!